VPN has become very popular in recent years due to the need to escape government espionage and surveillance, which blockages the free internet and stops people from being truly free. If you are an immigrant who moved to another country, you might find your morning newspapers website blocking you from entering. If you are trying to download something from a file sharing network, your Internet Service Provider might put a stop to that. The fact you are abroad can impact everything from the different movies you see on Netflix, to meeting your banking security requirements in your home country. In certain countries, using a VPN is vital for expats in that it is their only access to popular email servers and social media sites that are blocked where they are living. Downloading VyprVPN is easy. There are two different plans, the VyprVPN and the VyprVPN Premium. The VyprVPN is $60 per year and the VyprVPN Premium plan is $80 per year. When trying to select a plan, be sure to consider what your purpose for the VPN is. For example, the VyprVPN Premium plan has the Chameleon option, which can get through the firewalls that exist in China or other totalitarian regimes. The cheaper plan does not boast that kind of functionality. Open your connection window. Look for the large blue button on the bottom and click on the right where it has the location symbol. A window will appear with a list of locations and their speed. It is best to have a speed that is listed in green and that is less than 100. For example, Perth, Australia, would be an excellent choice. 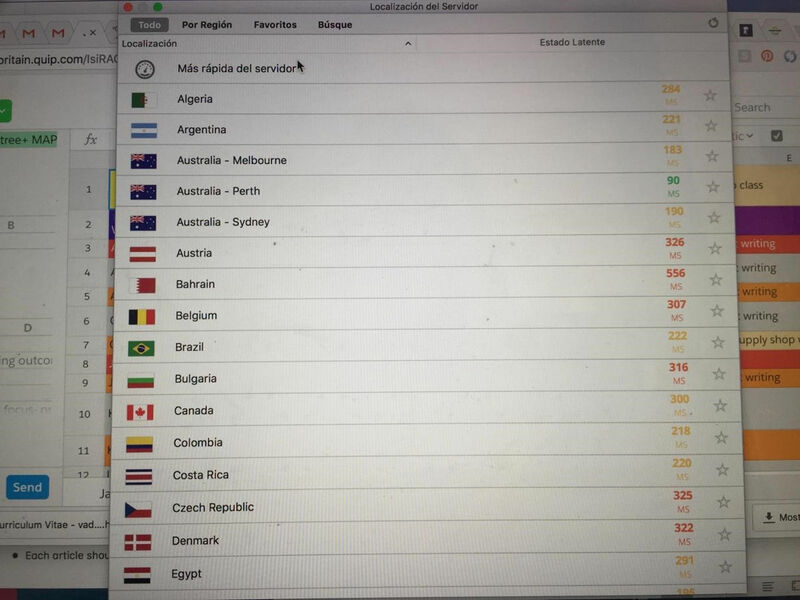 After selecting the country you would like to utilize, then hit the blue button. You will be connected usually in under one minute. 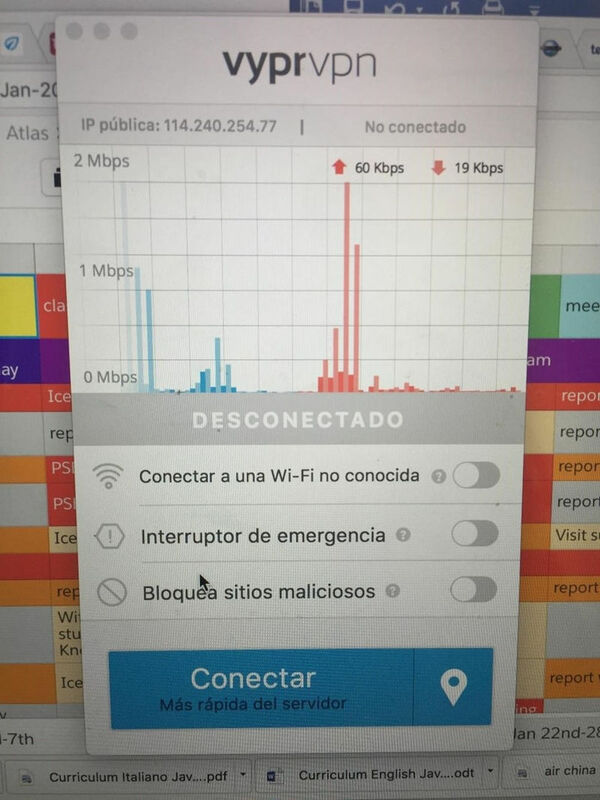 If the blue bars are really low, it shows that your connection is not strong; however, if they are high like in the photo below, you have a great connection that will allow you to stream videos. With these simple steps, you will be able to browse websites that may be blocked that the country that you are currently located in. VyprVPN is not only easy to use or popular. It is one of the finest solutions for a VPN that someone may need. The reason is that VyprVPN is a very safe and sound company operating from Switzerland and employees a large staff to make sure the product is operating as expected 24/7. Most other VPN providers are small and, honestly, they use ready-made shelf solution to build their VPN client, making it safer. Additionally to that, VyprVPN makes a unique guarantee to never store logs of the people using it. That means if you want to engage in any activity in a truly anonymous manner, you could use VyprVPN for that, no problem. There are more pros and cons that you can find over in this detailed review of VyprVPN. VPN’s have been both a positive and negative contribution to the world of cybersecurity. While they have greatly enhanced the private citizen’s right to browse the Internet in peace without government scrutiny, they have also opened up a complicated web of legal issues with regards to a nation’s sovereignty, controlling global crime, and overall cybersecurity. It will be fascinating to see what happens in the years to come with regards to how governments around the globe combat VPN technologies and whether VPN’s will still be a major force on the market. In terms of which VPN company to use, VyprVPN truly is one of the best in the business. Not only does it offer a wealth of locations to choose from, but it always has backup servers in the event of a new government blockage so that individuals are able to browse the sites that they desire with ease regardless of where they are traveling, living or working in the world.